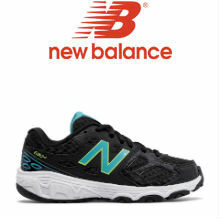 New Balance began as a Boston-based arch support company in the early 1900s, developed into a specialized manufacturer of shoes in the 1970s, and has grown to become a leading global athletic products company. To ensure the best fitting, best performing shoes and clothes, New Balance focuses on improving their technology and production methods. A big part of that is maintaining five manufacturing facilities here in the United States where they continue to produce New Balance children’s shoes and apparel that meet the standards they’ve employed for 100 years. They have also remained committed to a core set of values that include integrity, teamwork and total customer satisfaction.